MFE Insurance offers nightclub insurance policies to protect nightclub owners from liability as a result of bodily injury to patrons or employees, fights or damage due to intoxication, employee negligence, and more. By failing to acquire proper coverage, your nightclub may be liable for a variety of lawsuits that may result in total liquidation and loss of various licenses. 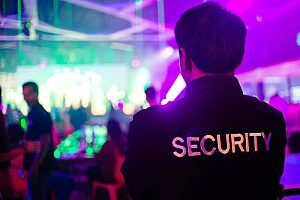 Moreover, nightclubs that serve alcohol or employ bouncers run the risk of added legal repercussions and should be insured with liquor liability or bouncer liability insurance, respectively. 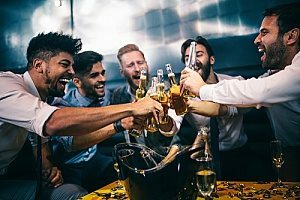 This can protect your nightclub from facing serious charges (financial or otherwise) caused by drunkenness, belligerence or physical damage caused by guests and employees. Our nightclub Insurance can be tailored for your nightclubs requirements based on your clientele and venue. This ensures that the cost and scope of your coverage aligns with your businesses’ needs. Learn more about our unique nightclub insurance offerings below. General Liability Insurance will cover your nightclub against allegations and lawsuits pertaining to property damage or bodily injury in situations where a patron is injured in your nightclub or in perimeter areas such as parking lots. For example, if a patron is dancing, trips, falls and sprains her ankle, or a bartender accidentally spills liquor on someone’s jacket, general liability will cover these third-party claims in the event of a lawsuit. General Liability Insurance also protects against specific claims of slander and libel against nightclub owners or staff, and wrongful eviction (in case a bouncer kicks out the wrong guy), in addition to other “general” claims. As most, if not all, nightclubs liberally distribute and serve alcohol, Liquor Liability Insurance is a must. Liquor Liability Insurance will cover you and your business from claims that occur in the event that an overly intoxicated patron injures someone (or themselves) or who incurs property damage while in or traveling from the venue. Note, however, this excludes coverage for injuries sustained by fights. For example: if an inebriated patron falls and gets a concussion in the parking lot (or pushes someone down a flight of stairs) you may be held accountable and sued. Liquor Liability Insurance helps protect you and your nightclub from these highly susceptible lawsuits and other alcohol-related incidents. Going along with having too much to drink, excessive alcohol consumption can also often lead to erratic, sometimes violent, behavior. If a fight ensues and a physical altercation causes a patron to be injured in your nightclub, you could be held liable. This could result in being forced to pay for their medical costs and injuries on the grounds that you failed to provide a safe environment for your patrons. For these reasons, Assault & Battery Insurance is an essential tool for nightclub owners that can help protect you from these types of claims. For example: If an argument leads to a minor struggle (or a multi-person brawl) at your nightclub and someone is physically injured as a result, they can sue your establishment for their complications. Assault & Battery Insurance will cover you and your nightclub for the legal and medical fees associated with these claims (lawyer fees, hospital bills, etc). Vandalism is unfortunately a common occurrence in nightclubs, and some situations (a flooded bathroom for example) can potentially thwart a nightclub’s earning potential by forcing it to close for restoration. Moreover, in the event that critical assets are damaged beyond repair, many nightclubs may not have the financial means to recover. MFE Commercial Property Insurance can cover your nightclub’s venue and assets due to vandalism and other causes of property damage including natural disasters, fire and theft. This also includes repairing and replacing damage to your nightclub’s physical structure, content, fixtures, and inventory, as well as a backup, sewer, and drainage systems. For example: Suppose a boozy patron is upset because your bartender incidentally threw out her obnoxious boyfriend, then clogs all the toilets and floods the women’s bathroom, causing your nightclub to close the next day for repairs. Commercial Property Insurance will pay to replace the damaged property (toilets, stalls, tile, plumbing, etc.) and reimburse your loss of income during the period of restoration. While employing security personnel can be an invaluable safeguard against potential fights, physical damage and other altercations, they are unfortunately not without their own risks. Bouncers can sometimes cause just as much (if not more) damage to disruptive patrons when attempting to remove them from the venue. Bouncer Liability Insurance will provide compensation for bodily insurance to patrons who are injured by bouncers, as well as any injuries sustained by bouncers while on the job. For example: A bouncer in your club attempts to remove a belligerent guest who is picking a fight with a fellow patron and in so doing, both breaks the patron’s rib while sustaining a “brawler’s fracture.” Bouncer Liability Insurance will compensate for these injuries, as well as the wages the bouncer may miss while recovering. Workers compensation insurance, otherwise known as ”workers comp” is a program mandated by the state which provides employees consistent payments to recompense their injury (or sickness) resulting from a work-related accident. Workers Compensation Insurance will cover the medical costs from the injury or illness, replacement income, costs to retrain the employee, and provide compensation for any permanent injuries. Our MFE Insurance Business Consultants can inform you on the nightclub industries’ specific rules and regulations to ensure that your employees are properly covered. For example: A bartender slips and falls behind the bar, breaking their foot. Worker’s compensation will cover their medical bills and the wages they miss while they are recuperating from their injury. If your nightclub provides patrons with valet parking, garage-keepers insurance will provide coverage if a vehicle is damaged while under the care of your valet attendants. Classic example: Your valet-man nicks the door of a AMG S-Class Coupe as he maneuvers it into a tight parking space. Luckily for you (and your driver), Garage-Keepers Liability Coverage will reimburse the owner for repairs. 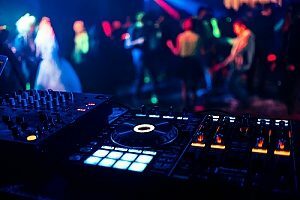 Nightclubs operate on an assortment of technical equipment and machinery, including audio systems, lighting, HVAC systems, and refrigeration units and kitchen appliances in venues where food is served. Equipment Breakdown Insurance will cover your losses in the event that malfunctions, power surges, electrical outings, short circuits, or other mechanical breakdowns cause any of these essential devices to fail. Moreover, MFE Equipment Breakdown Insurance will reimburse you for any losses incurred as a result of these breakdowns, including expenses incurred to minimize further loss or expedite repairs. For example: A live-DJ is hosting tonight and the addition of high-power electrical devices (audio equipment) on the same power line as your lighting system causes a power surge, terminating the lights and forcing your nightclub to close for the rest of the weekend. Equipment Breakdown Insurance will provide financial assistance for repairs and replacements so that your nightclub can reopen within a few days, not weeks.